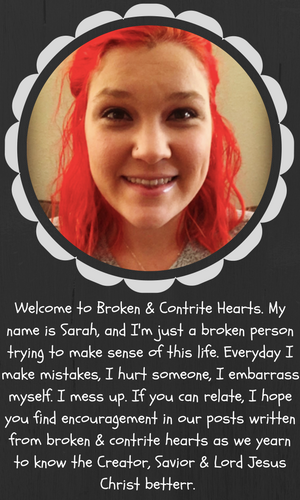 Broken & Contrite Hearts: What Are Broken and Contrite Hearts? This verse was my anthem song during a period in my life where I was struggling with shame and church hurt that were some of the consequences of my sexual sin. I felt this verse was perfect for my situation because David wrote this psalm as a cry of repentance over his sin of adultery with Bathsheba. Many people feel broken and hopeless. But it isn't until you bring contrition into the mix that you can experience true healing. 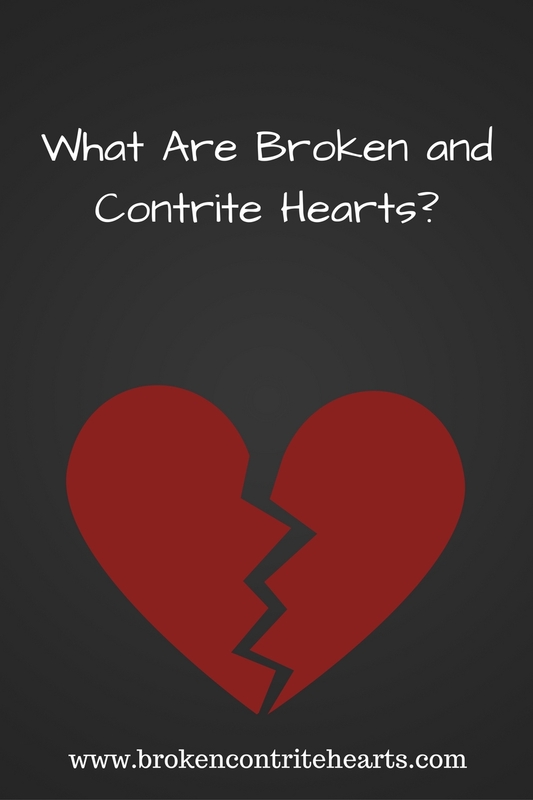 The word "contrite" is not very common in today's modern vernacular. And while "repent" is a a good synonym, it may sound kind of "churchy" because church is where this word is often heard. I believe the simplest common word that comes closest to explaining the meaning of contrite is "remorseful." When a person is terribly remorseful and deeply regrets an action he committed, he is contrite. Even in the Old Testament days when the list of laws seemed ridiculous to follow, God was only concerned about the heart. 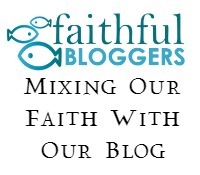 David knew God would not be pleased with his offering if his heart was not in the right place. 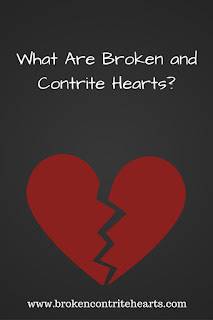 So exactly what are broken and contrite hearts? They are the hearts of people who are so distraught over their sin that they know their only hope is to humbly cry out to Jesus for forgiveness. For some people, it takes terrible circumstances and consequences to bring them to this place. They have to hit rock bottom. 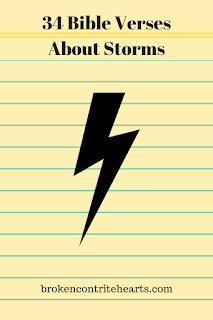 For others, God brings them to this place before they experience any major consequences. However, no matter how desperate a person must find himself before being broken and contrite, it is not the FULL consequences of his sin. The full consequences of our sins are the wrath of God and eternal separation from Him. If at any point on earth you are brought low in order to recognize your desperate need of the Savior, God has been truly gracious to you. but if we walk in the Light as He Himself is in the Light, we have fellowship with one another, and the blood of Jesus His Son cleanses us from all sin. If we say that we have no sin, we are deceiving ourselves and the truth is not in us. If we confess our sins, He is faithful and righteous to forgives us our sins and to cleanse us from all unrighteousness. 1. Allen P. Ross, “Psalms,” in The Bible Knowledge Commentary: An Exposition of the Scriptures, ed. J. F. Walvoord and R. B. Zuck, vol. 1 (Wheaton, IL: Victor Books, 1985), 833.